What does Camphill Holywood do? 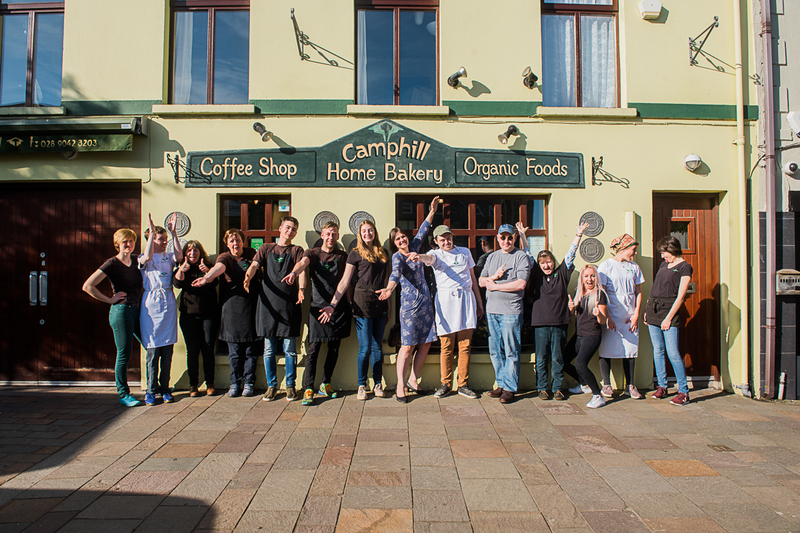 Camphill Community Holywood was born out of an intention to build community together and provide opportunities to adults in a holistic, commerical environment. Today, co-workers (volunteers and employees) work together with people with adults with learning disabilities and other needs in our workshops and within our residential care houses. Our integrated workplaces, in Holywood, provide spaces in which people can learn new skills, develop existing skills and where, together, we join in an endeavour that marries the worlds of retail, hospitality and commerce with a supportive social, cultural and educational experience. The workshops also provide a space in which awareness of global and environmental issues such as the benefits of healthy lifestyles, responsible consumerism, wholefood, vegetarian and alternative diets can be promoted. Because we are public-facing, we are able to engage with the local community in Holywood and Belfast showcasing Camphill life, the talents and abilities of those in our community, in an honest and meaningful way. We strive to provide the public with the very best in organic vegetarian food, made fresh on the premises, and a window into the world of Camphill! Camphill Community Holywood promotes a life-sharing model, as practiced by Camphill Communities worldwide. This unique Camphill model is one that promotes a shared social and cultural experience. Community members work and live alongside each other, helping each other to develop their talents and learn new skills. It is a reciprocal relationship of independence and interdependence, where each person contributes and can enjoy the support and benefits that community life brings, in a shared, supportive endeavour that naturally promotes equality. Camphill Holywood offers a Community in which opportunities for living, work, family-life, culture and recreation are integral parts, together we all contribute for benefit of the individual and the whole community.